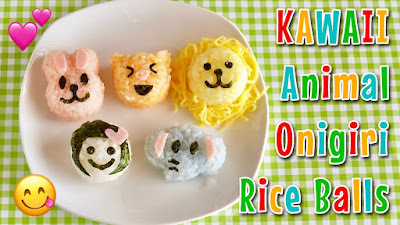 You can use plastic wrap to form the rice into animal shapes. 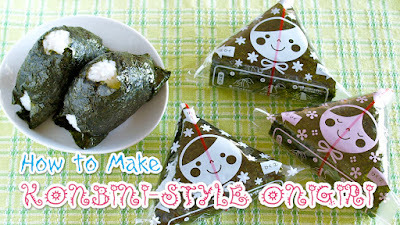 However, using the molds saves time ;) Great tool when you have a lot of Onigiri to prepare! Just press some cooked Japanese rice into the mold. 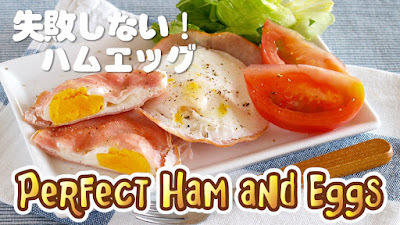 Decorate with Nori seaweed sheet, ham, cheese, and/or Kinshi Tamago (shredded egg crepes). 1. Cut Nori seaweed sheet into small pieces then stock them in an air-tight container with a silica gel (desiccant). 2. Place cooked rice on a sheet of plastic wrap to save dish washing. Sprinkle with rice seasonings of your choice, tap a little bit with a rice paddle to mix, then wrap to make a thin roll. 3. Pinch off bite-sized pieces with Nori to make small rice balls. Make as many you want. You can’t believe it is cooked in a microwave! 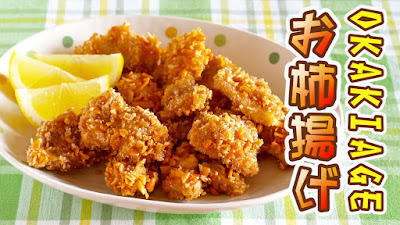 The meat chunks are made with meat slices, so it is very easy to bite and eat. Sweet and Sour Pork (we call it "Subuta" in Japanese) is a popular Chinese dish in Japan. 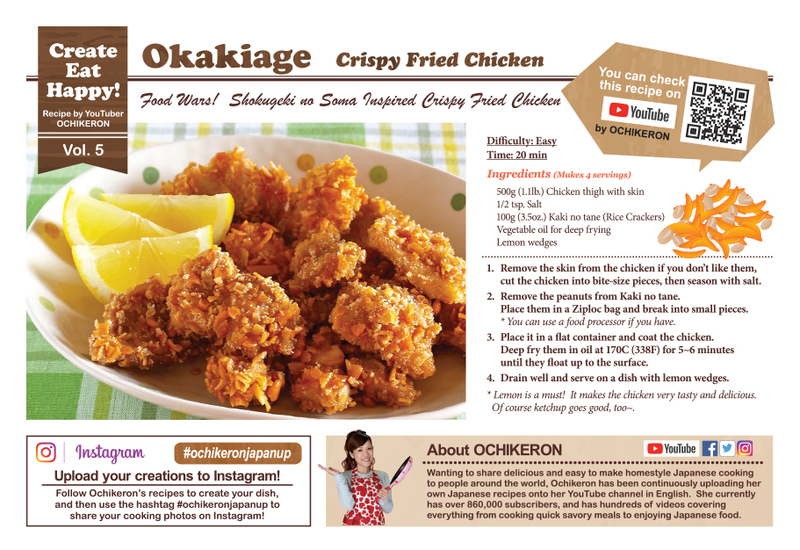 Enhances your appetite in hot and humid summer season! It goes great with rice. 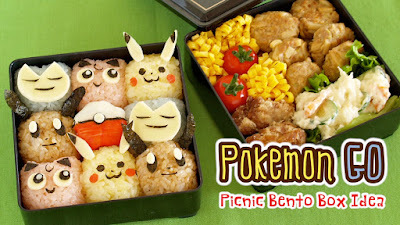 Perfect for Bento box. 1. Rub A into the pork slices. Roll the pork slices into chunks. Then dust with starch. 2. Cut the onion, carrot, and green peppers into small chunks (make sure they are not too big to cook thoroughly). 3. Place onion and carrot chunks in a microwavable dish. Put the pork chunks on top of them. Sprinkle with sesame oil. Cover with plastic wrap, then Microwave at 500w (medium) for 5 minutes. 4. Open then add the green pepper chunks and B. Mix very well. Cover with plastic wrap then Microwave at 500w (medium) for 5 minutes. NOTE: Please use a microwavable dish that is big enough to place all ingredients. Otherwise it can boil over. 2. 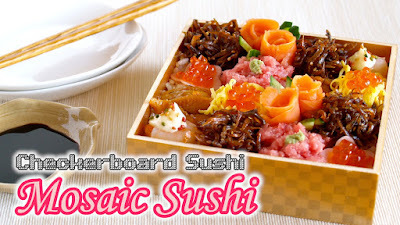 Place the Sushi rice in a Bento box then press down flat with a rice paddle or a spoon. *You can also remove the rice onto a plate like a cake. 3. Divide the Sushi rice into 16 square portions. 4. Place the toppings of your choice. Eat with Wasabi soy sauce if necessary. 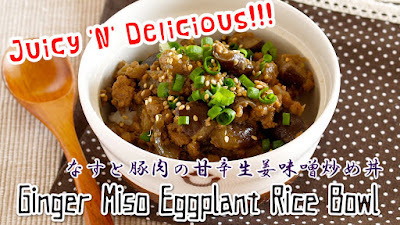 Juicy 'N' Delicious Ginger Miso Eggplant Rice Bowl. Perfect dish for Bento lunch box, too!!! 1. Chop eggplants into chunks and soak in water to remove the bitter taste. 2. 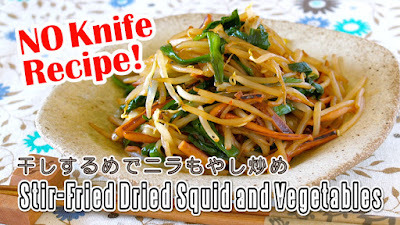 Heat cooking oil in a frying pan and stir-fry the eggplant until coated with oil. Add ground pork then cook until no longer pink. Then add A and simmer until the liquid is almost gone and tender. 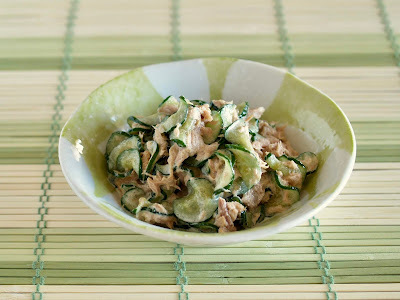 Mix in sesame oil to finish. 3. Serve on a hot bed of rice, then top with chopped green onion and toasted white sesame seeds if you like. 1. Place the side dishes in the first tier of Bento box. 2. In the second tier, place the Pokémon Rice and Poké Ball. 1. Flavor the rice with Deco Furi (colorful rice seasonings) or soy sauce. 2. Form the rice into small balls using plastic wrap and put into the Bento box. Cut out sliced cheese, Nori seaweed sheet, and Kanikama (imitation crab stick) to make the face parts then attach to finish. 1. Unroll Kanikama (imitation crab stick) and place it on plastic wrap. 2. Place some potato salad and wrap into a ball. 3. Make the details with sliced cheese and Nori seaweed sheet. 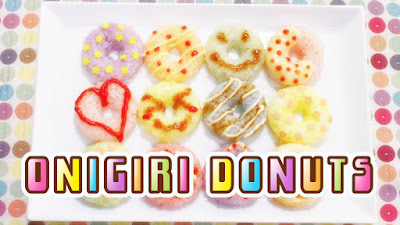 Onigiri resembles a Kawaii dessert. 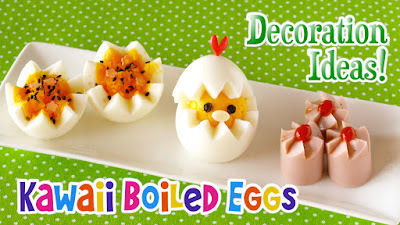 They are perfect for parties and Bento lunch box!!! 1. Mix rice seasoning into the rice. 2. Stuff the seasoned rice into the silicone donut mold. 3. Remove from the mold and decorate. When you put cheese on top, microwave for about 5 sec to melt. This video will show you how to make Konbini-style Onigiri (rice balls), individually wrapped in plastic, ensuring that the Nori seaweed sheet stays fresh and crisp. 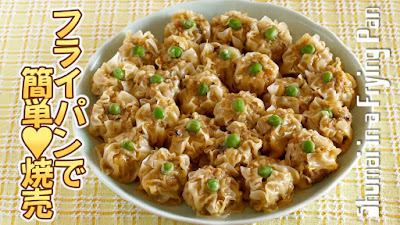 Perfect for lunch to go, picnic, and parties! 1. Season the cooked rice with salt to taste. 2. Place 120g of rice on a plastic wrap, place the filling, then form it into a triangle by pressing it lightly between your palms. 3. Cut Nori seaweed sheet into half. 4. Place it into the wrapper then fold the edges to wrap. 5. Label the Onigiri with stickers. 1. Flavor the rice with Kagome tomato ketchup and a pinch of salt. You can use orange-colored rice seasoning if preferred. 2. Place lettuce in the Bento box. 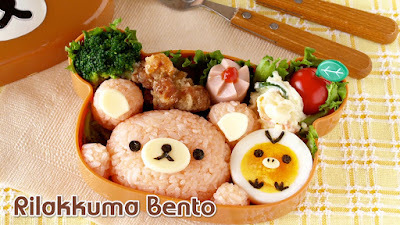 Form the rice into Rilakkuma shape using plastic wrap and put into the Bento box. Cut boiled egg into half and place it next to Rilakkuma. 3. Put side dishes in the Bento box. Cut out sliced cheese and Nori seaweed sheet to make the face parts then attach to finish. Use a knife to cut a zigzag through the center of the egg to make flowers. FYI: Here's the technique how to get hard-boiled eggs that peel beautifully!